An unsubtle mix of class and street, Nooky has risen through the ranks on the back of energetic live shows and intricate wordplay, imbued with truth and humour. NOOKY has come out firing with a chant for the next generation of Black Excellence, with a stand-alone track - BLACK FUTURE. Today, the Bad Apples signee has dropped the explosive song ‘BLACK FUTURE” accompanied by a blistering clip. The track points to Black Excellence and the opportunities for the rappers Peoples to achieve anything. They are the future. Birdz and Omar Musa team up for the single "About Me" to coincide with their Voodoo Laksa tour across Australia. 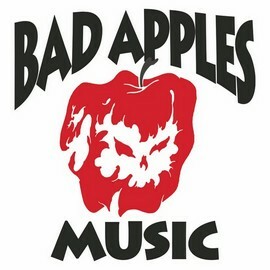 BAD APPLES MUSIC, this week released a firing collab from BIRDZ and OMAR MUSA “ABOUT ME”; a track dedicated to those people who have a misrepresented view about their ‘Straya. 'Testify' is a piece of Birdz's heart. It is deeply real and vulnerable, written and recorded with family. The lyrics are relatable for far too many families dealing with the effects of abuse, a suppression that Birdz wants to release for others. Briggs is a Yorta Yorta man, rapper and CEO of Bad Apples Music, whose solo records Homemade Bombs, The Blacklist and Sheplife have made him a pioneer of Australian hip-hop. Hunger Voodoo is a tale of a broke man, a new father, a hungry artist. Offering his audience a new perspective from his socially conscious melodic rhymes, Birdz keeps it close to home with this honest portrayal of working for the man while striving to be a full time artist. N.T. raised rapper, Birdz has been hard at work solidifying his spot as one of the most exciting Hip Hop acts to come out of Australia. The Bad Apples Music signee is making a statement; the epidemic of race related oppression choking his people never ceases. A 14-year-old boy murdered in Kalgoorlie, children gassed in detention, a 22-year-old woman died in custody, 120 communities unapologetically closed – for what? There is no reasonable answer. This anthem, produced by Joelistics featuring Jimblah, sees Birdz elevate to new heights as a formidable artist in the music scene. Reflecting on intergenerational knowledge and perspective changes that happen along the way, “Rise” is about finding the strength to take flight no matter what life throws at you. Two of Australia’s most critically acclaimed hiphop artists, BRIGGS (Album of the Year at the NIMAs 2015) and TRIALS (ARIA Award winning producer), have announced a joint project A.B. ORIGINAL. A tongue in cheek approach to the very serious issue regarding health and mortality / life expectancy rates of Aboriginal people in Australia – those being ten years less than non-Indigenous people. N.T. raised rapper, Birdz has been hard at work solidifying his spot as one of the most anticipated up and coming artists in Australia’s Hip Hop scene. On 'We Still Strive', Birdz samples his father talking to him about his life. Over emotive piano and strings. Nooky burst into the Sydney Hip Hop scene in 2010, his technical rap style and thought provoking lyrics propelled him forward. 'The Greatest' is a seemingly endless stream of punctuated brain-sticking linguistics. 'Vision in Rhymes' is an infectious fist-raised force.